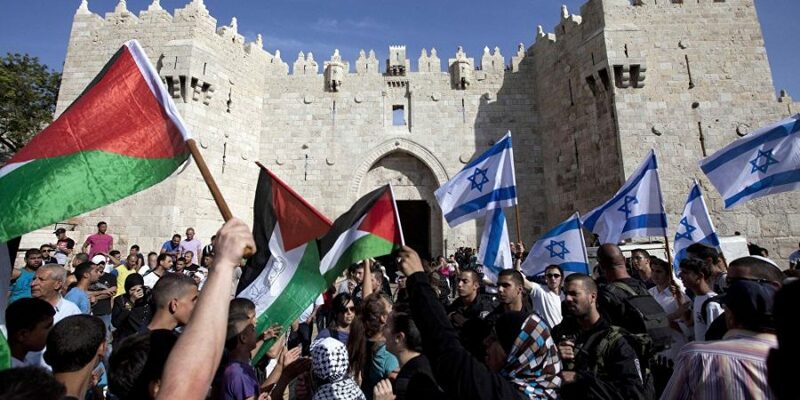 [The General Assembly] reiterates its determination that any actions taken by Israel, the occupying Power, to impose its laws, jurisdiction and administration on the Holy City of Jerusalem are illegal and therefore null and void and have no validity whatsoever, and calls upon Israel to immediately cease all such illegal and unilateral measures. Prophecy continues to move towards a soon and climactic conclusion and this vote brings us ever closer to that conclusion. You can find telling highlights from the speech here. In short, Kushner has revealed that the Trump Administration is planning to push hard for a final status agreement between Israel and Palestine and thus the United States' defiant attempt to divide God's land brings the country and world ever closer to global judgment. There is even a hint that the United States may not move the embassy to Jerusalem until progress is made on a final peace agreement. This judgment may already be playing out as we see airwaves consumed with the news of Michael Flynn's charges in the FBI's "Russian collusion" case. The statements in question from Flynn pertained to the December 2016 vote against Israel (of all topics!). While the Middle East situation is nearing a crescendo, North Korea has just successfully tested a new ICBM called the Hwasong-15 that puts the entire continental United States within range. Geopolitical and military analysts are coalescing around the belief that the North Korean situation is nearing the point of no return, where the war of words cannot be taken back. Agreement is building that war is now inevitable and this war will be unlike anything modern Americans are familiar with. In the midst of all of this, another possible sign in the heavens has appeared: the longest-lasting rainbow ever recorded. 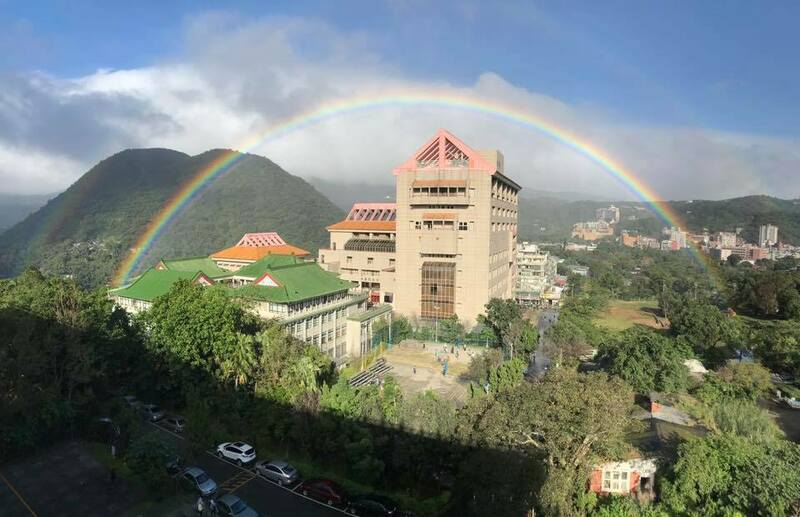 The double rainbow appeared over Taiwan and lasted for nine hours, beating the previous record by a full three hours. Remember that the rainbow is a sign that God will never again judge the entire world with a flood. However, the second global cataclysm is a judgment by fire. I have set my rainbow in the clouds, and it will be the sign of the covenant between me and the earth. Whenever I bring clouds over the earth and the rainbow appears in the clouds, I will remember my covenant between me and you and all living creatures of every kind. Never again will the waters become a flood to destroy all life. Whenever the rainbow appears in the clouds, I will see it and remember the everlasting covenant between God and all living creatures of every kind on the earth. Above all, you must understand that in the last days scoffers will come, scoffing and following their own evil desires. They will say, 'Where is this ‘coming’ he promised? Ever since our ancestors died, everything goes on as it has since the beginning of creation.' But they deliberately forget that long ago by God’s word the heavens came into being and the earth was formed out of water and by water. By these waters also the world of that time was deluged and destroyed. By the same word the present heavens and earth are reserved for fire, being kept for the day of judgment and destruction of the ungodly. The external pressure on Trump to back-up his campaign promise to move the embassy + the new revelations from Kushner to forge a peace agreement before anything else can go forward is very telling. The Trump administration appears to be in a rush to get the two parties (Israel and "Palestine") to the table to sign a deal, so that they can focus on other things: politically speaking, an embassy move + economic and security benefits to Arab neighbors. Closer and closer the day comes. I love the information I love the site and above all I love Jesus Christ! Praise the Lord! So... Jerusalem is now in a state off anarchy? Or does someone else control it? This seems like a bad thing in general and they vote for it? The wedding FEAST with the Lamb and all His Bride is getting closer and closer, just amazing to be on earth to see/ watch the chronos (Gk for chronological or quantitative time) tick down while also looking forward to, hoping for the karious (Gk for an opportune time, the right moment, or the perfect moment) to be gathered up, caught up out of here. [See my comments on Gary's previous article for some tid bits about Christ and Hanukkah (the Feast of Dedication), in particular, what John recorded Jesus saying during Hanukkah (John 10:20-25)]. Our message today for advent were the 7 words from Galatians 4:4, which honestly, I never have heard taught for the Christmas story before...thus, the chronos/ karious use above. Karious is used in Gal 4:4, God's opportune time or moment. I am amazed at how the UN is so biased towards Israel. The UN continues to single out Israel and this year alone UN have approved 18 resolutions that were severely biased towards Israel. It is inappropriate that the UN, an institution founded on the idea that all nations should be treated equally, should be so often used by member states to treat another state so unequally. The UN is a joke, a tiger with no tooth. Hey Drew. The UN is worse than a joke, they are destructive and dangerous, especially in pushing their anti-Israel agenda. I doubt it will happen. but I hope Trump pulls out of the UN and moves the embassy to Jerusalem; send a clear message that the US will always stand with Israel. So. The symbol of Abba's Covenant, which arose from His Judgment, is SEEN for a world Record 9 hours, NINE being symbolic of His Judgment. This Witness has circled the Globe. Maranatha! My eyes are up. My eyes are on and for and to and with and in You Jesus. Nine hours longs, nine means "completeness or finality". There were 4 rainbows seen, 4 means "moed" or "appointed time". Gods WORD is true...scary sometimes but always it is the truth! Just is as it is. That place is Holy to Elohim, YHWH, JEHOVAH. Boy, YOU are right about the laughter. If only the wicked really read scripture, they would be trembling. *[[Zec 12:3]] KJV* And in that day will I make Jerusalem a burdensome stone for all people: all that burden themselves with it shall be cut in pieces, though all the people of the earth be gathered together against it. Trump probly should look at this. It’s almost over; we are going home. Thank You Lord,Jesus Christ.Can't wait to be with Him.Hold on!! Is the judgement by fire Peter speaks of something during the Tribulation period, or is it just before God creates the new Heaven and earth at the end of the Millennium? With all the chemtrails they are spraying that contain barium, aluminium and strontium et all, when they fire a nuclear warhead or any other type of bomb I can imagine that the whole sky will ignite as well as the land. The works cannot be destroyed until the end (before new one created) but I'm sure most of it will be destroyed by fire during the trib too, then finished off at the end. It's just my opinion, I'm no expert! God bless you. God's child, please elaborate on the chemtrails. Have there been chemtrails for as long as there has been high-altitude aircraft? Is it is something that required the jet age to bring about? Are all commercial aircraft spraying the chemtrail poisons? Do the airline workers know they're are loading the jets with poison? Or does the government do it in secret? BryanB I'm certainly no expert on the subject. What I know is They have been spaying for years. They spray from both commercial and military jets, I don't think all companies. I know some pilots are aware of this but I presume others are not and none of them will speak on record about it. It was secret until last year but they were stepping it up so much they had to go public so Harvard university came out and said they would be doing spraying and called it operation solar shield or geo engineering. The US government i think has admitted it. Look up geo engineering and operation solar shield anyway. They spray not only aluminium, barium and strontium but also fibers, biological matter, programable matter, diseases, mold etc...a cornucopia of elements....there are videos on YouTube of a plane behind another plane where you see the plane in front turning on and off its sprays and different colour elements coming out. There are also videos like this from the ground where you can see the planes flying along with no trail behind them and then they turn sprays on and off at will. The best channel on YouTube on this topic is RichieFromBoston I think. As I say, I'm no expert, I've just watched videos on it. Check out his channel as he's the expert. God bless.